Save your search - find out immediately when "Truman" is available at auction! Capote, Truman (1924-1984) Other Voices, Other Rooms. 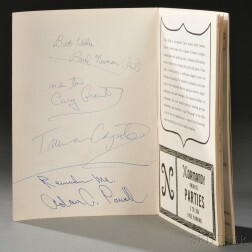 Capote, Truman (1924-1984) In Cold Blood, Signed Copy. Modern Novels Adapted to Film Thrillers, Six Volumes. 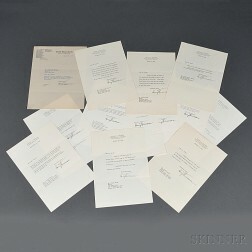 Collection of American Executive Cabinet Member Autographs, Letters, and other Signed Items. 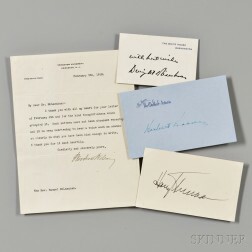 Taft, William Howard (1857-1930) Archive Containing One Signed Menu and Autographs of his Presidential Cabinet. 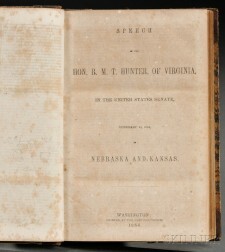 Lee, Nelle Harper (b. 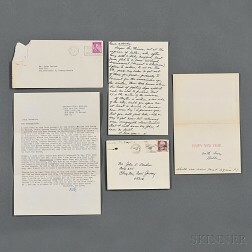 1926) One Typed Letter Signed, One Autograph Letter Signed, One Christmas Card Signed, 1960 and 1972.